The Bodrum Museum of Underwater Archaeology, situated within the walls of a medieval castle in coastal Turkey, offers visitors an intensive education in the physical remains of ancient seafaring in the Mediterranean. 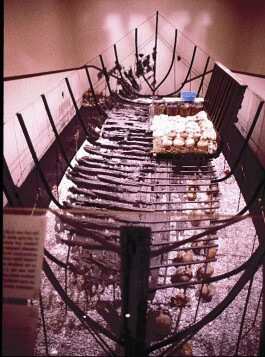 By providing a showcase for INA’s underwater projects and artifact conservation, the Museum has maintained a decades-long partnership with INA. In a militaristic effort to protect themselves, they built a castle in Bodrum dedicated to St. Peter using stones, interspersed with marble column shafts and relief panels appropriated from the nearby tomb of Mausolus. Excavations at the site by INA and several Danish archaeologists have revealed that St. Peter’s Castle was the successor to several ancient structures, including a Byzantine church and the palace of Mausolus. In the late 1950s, the Bodrum Castle had been serving as a storeroom for amphoras brought up by Turkish sponge divers. Following the excavation of the Cape Gelidonya shipwreck by George Bass, American journalist and diver Peter Throckmorton suggested the Castle be converted into a museum. In 1962, the Turkish Ministry of Culture funded and staffed an official Bodrum Museum, and since then INA has contributed significantly to the artifact conservation and exhibits within. In 1963, the Bodrum Museum’s first director, Haluk Elbe, initiated restoration of the castle and improvement of the adjacent grounds and gardens. Under subsequent directors Nurettin Yardımcı (1973–1975) and Ilhan Aksit (1976–1978), the three-story English Tower was repaired. 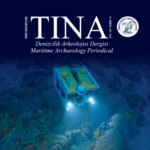 Oğuz Alpözen, who studied archaeology at Istanbul University and dived with Bass at Yassıada, became Director in 1978 and renamed it the Bodrum Museum of Underwater Archaeology. Through Alpözen’s tireless efforts and INA’s continued archaeological work in Turkey, the exhibits were expanded to create a “living museum” that has attracted hundreds of thousands of visitors to date. 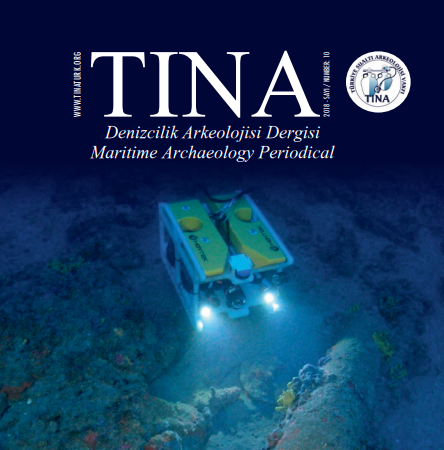 Alpözen retired in 2005, when Yaşar Yıldız, who had served for 20 years as an archaeologist and government representative on several INA excavations, became Interim Director. Emel Özkan then served as director until 2015. Since 2015, Tayfun Selçuk has been the interim director.